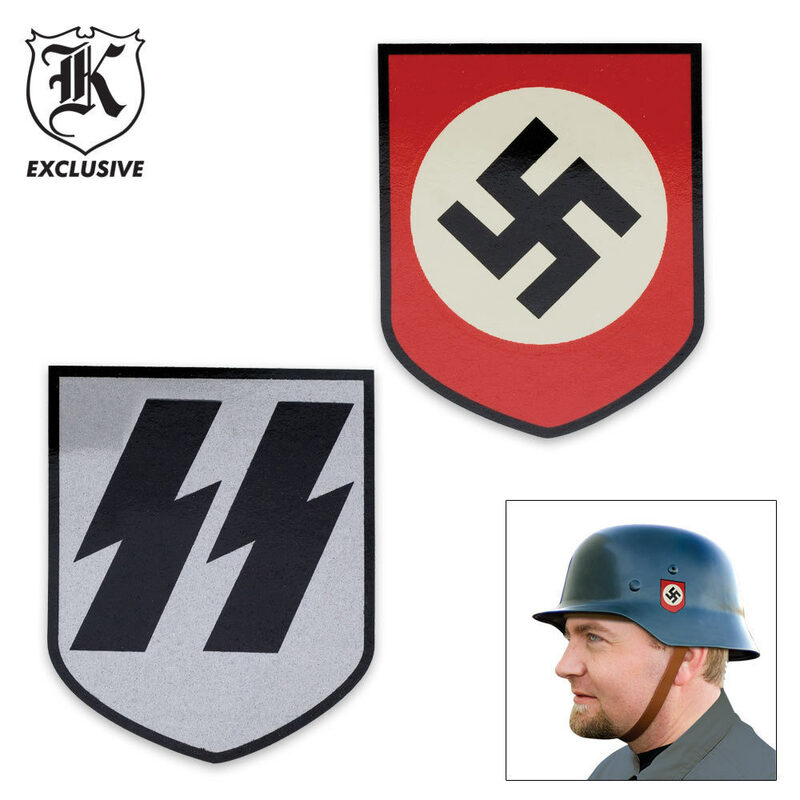 WWII German Replica Helmet Decals | BUDK.com - Knives & Swords At The Lowest Prices! These World War II Replica German Helmet Decals are water transferable and are sold in sets of 2. Helmet sold separately. Nice decals, but extremely difficult to apply because they are water transfer type. That's why I bought two. If you want no hassles, buy peel and stick type decals, but they won't look as authentic. Both items the Helmet and Decals are of the best quality I have seen. I will recommend all collectors of WWII history that are looking for a top quality item to defiantly purchase these items.